The risk of a nuclear catastrophe is far greater than we think. Our ability to reduce that risk is far greater than we imagine. Too few people are interested in nuclear weapons and there's a much larger “market” of people wanting to improve their relationships, so I’m now working with my wife Dorothie on a new approach that combines the personal with the global. Click here to sign up for information, updates, and opportunities to participate. 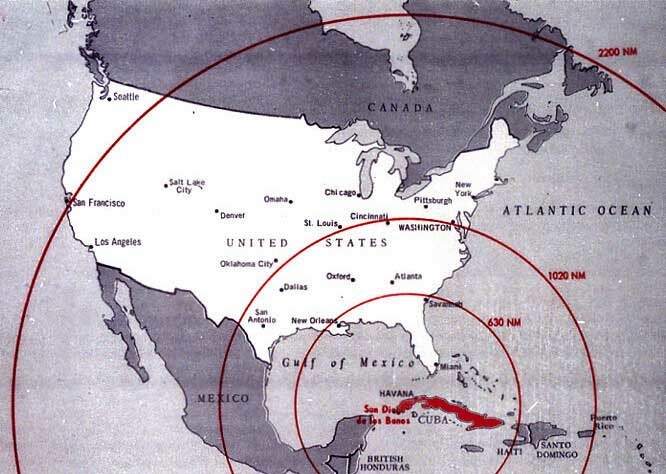 Lessons From the Cuban Missile Crisis: Did you know that JFK was taking amphetamines? that American destroyers unknowingly attacked Soviet subs armed with nuclear torpedoes? that we are still engaged in very risky behavior? Learn how we can change that! How Risky is Nuclear Optimism? : Read Prof. Hellman's paper in The Bulletin of the Atomic Scientists and find out. Soaring, Cryptography and Nuclear Weapons: How could three such different topics be related? The five simple actions we are asking you to take involve bringing the nuclear risk to greater awareness within your social circle. Bringing up such a weighty topic may seem daunting at first, so this section contains some suggestions to make it easier. If other people are uninterested or believe that society's approach to nuclear weapons is fine as is, it's usually best to drop the subject. Our goal is not to argue with those who are comfortable with the nuclear status quo. Rather, we are looking for those with open minds. Reaching a tipping point within a group requires only a small fraction to become involved, so initially most people will be uninterested. Instead of wasting time arguing with someone who has no chance of being part of that initial tipping point, seek out others more open to the idea. And remember, no effort is wasted. Some will respond the first time they hear the idea, but most will have to hear it from several different sources before they take it seriously. Treating those who disagree with us with respect will maximize the chance they will respond more positively the next time someone discusses the issue with them. When discussing this issue with someone new, it is best to talk solely in terms of creating awareness about the need to reduce the risk posed by nuclear weapons. So long as society sees only benefits to possessing these weapons, specific goals – especially long-range ones, such as nuclear disarmament – will sound naive and unachievable to most people. Only after society becomes aware of the need for change will specific solutions be seriously considered. Trying to change the whole nation's thinking at once is an unachievable goal. We are therefore emphasizing creating small "pockets of nuclear awareness" that then can spread more widely. For the reasons explained on that portion of this web site, you will be much more effective if you focus most of your efforts on a small group to which you belong, such as a school or church. Reaching a tipping point in such a group is well within our means, whereas diffusing our efforts too broadly will produce little of value. Because we are social animals, it will increase your effectiveness and that of others in your "pocket of awareness" (e.g., a dorm, neighborhood or church group) if you meet regularly to exchange views. No matter how important an issue may be, it's hard to maintain motivation if you are the only one in your social milieu who is concerned about it. Watch four senior statesmen – George Shultz, William Perry, Henry Kissinger and Sam Nunn – eloquently call for an urgent reassessment of our nuclear weapons strategy. This 8 minute extended trailer is taken from their full-length movie which is available on DVD, free of charge. Market research has shown that people tend to fear that those in favor of changing our nuclear weapons policies are naive, and guided primarily by moral arguments that are inapplicable in a dangerous world. Emphasizing that hard-headed military leaders are in the forefront of this effort, and are convinced it will enhance our national security, helps overcome those concerns. Gen. Colin Powell was Chairman of the Joint Chiefs of Staff under the first President Bush, Bill Perry was Secretary of Defense under President Clinton, Sam Nunn was head of the Senate Armed Services Committee, Henry Kissinger was Nixon's National Security Advisor, and George Shultz was Secretary of State under President Reagan. Our goal is not to advance a particular solution, such as nuclear disarmament or world peace. Rather our goal is to get society to recognize the unacceptable risk it faces from relying on nuclear weapons so that it will then be motivated to discover how best to solve the problem. The solution will require a number of steps, with the later ones only becoming possible in the changed environment produced by those taken earlier. So, even if you had a crystal ball and could tell someone how the solution will occur, it would sound unbelievable from our current vantage point. To be effective, you need to become secure in your conviction that a reexamination of our nuclear weapons strategy is urgently needed. A good place to start is with a simple analogy that I call The Man in the TNT Vest, featured on our home page. After integrating those ideas, our resource page is the next place to visit. If we talk only about nuclear catastrophe, we will depress people, whereas we need to energize them. When giving talks on this subject, I often start out by telling the audience I've got good news and bad news. The bad news is that our current approach to nuclear weapons is headed for disaster. The good news is that we're going to have to change that approach, and most people are not really happy with Mutually Assured Destruction. 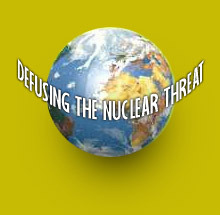 Defusing the nuclear threat has another major benefit in that it will require a significant reduction in the level of violence around the world. The previous section of this Nuclear Reader offers additional positive views. Prof. Carol Dweck of Stanford's Psychology Department has studied how different people respond when confronted with a challenge that exceeds their current abilities. Some people take on the challenge even though that might mean failing, while others shy away. While Dweck's research has focused on individual abilities, the same ideas seem applicable to a person's view of humanity as a whole, and a conversation I had with her supported that view. Extended in that way, her research shows that if someone believes human nature is fixed and immutable, then bringing up your concern with the nuclear threat will tend to fall on deaf ears. But such people tend to become more receptive if we emphasize the tremendous capacity that human beings have for change. See section 4 of this Nuclear Reader for examples. At the end of the Cold War, hard-won public support for changing our nuclear weapons posture evaporated almost overnight in the mistaken belief that the problem had been solved. To avoid a similar loss of momentum this time, we must keep the long-term nature of the goal firmly in mind. My research indicates that the risk we face from nuclear weapons must be reduced by at least a factor of 1,000, so the solution will occur in a multi-step, long-term process, not in one fell swoop. Ill will, judgment and blame play a major role in perpetuating the nuclear threat. If we judge those who disagree with us, we mirror the problem, not the solution. If we have goodwill toward those who disagree with us, we will be much more effective advocates for change. When someone says something that sounds outlandish to me, I try to remember how outlandishly I once saw this issue.